1. From your Facebook page, create a "Live Video" post. 2. Click on the "Connect" option. 3. 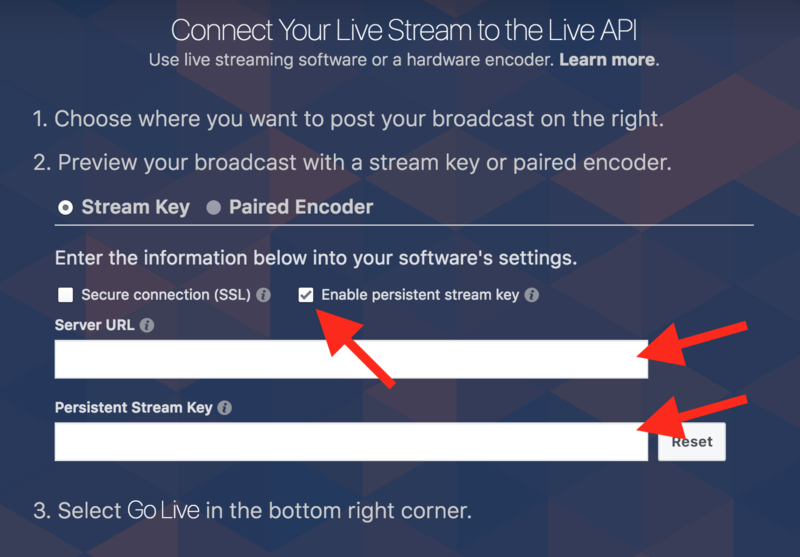 Mark the "Enable persistent stream key" checkbox option and copy and paste both the Server URL and Persistent Stream Key into your CWM "Stream Settings" page in the Facebook Persistent Key section. 5. 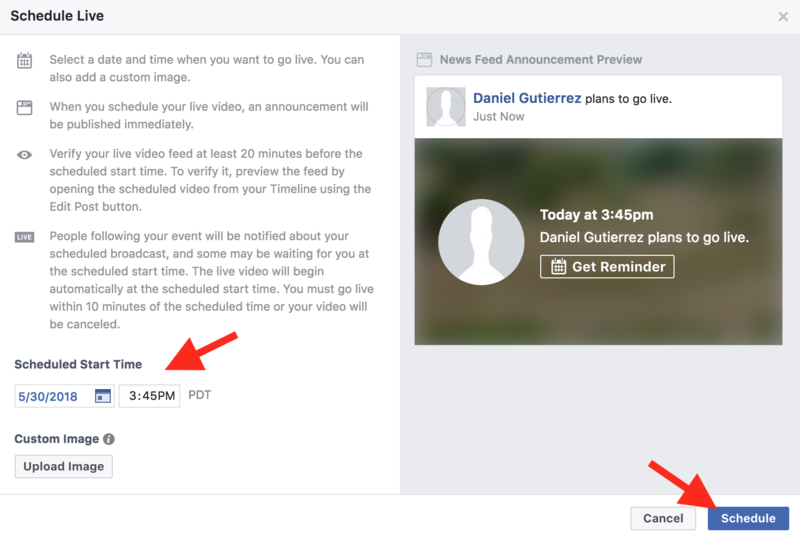 In Facebook, you should now schedule your next live event and we'll send your live stream automatically to your Facebook Live page once you start. NOTE: You must schedule your live events ahead of time and make sure to start the live stream a few minutes before the Facebook Live scheduled time. Facebook requires you to start your live stream at least 5 minutes before the scheduled time. 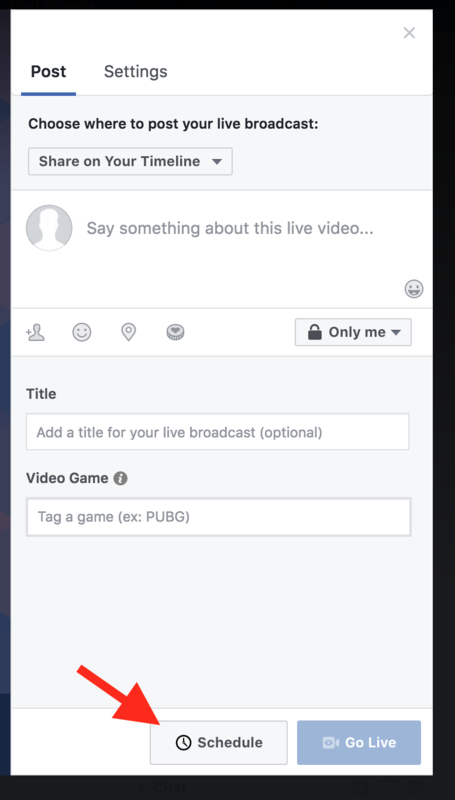 If you're more than a few minutes late to starting your stream, Facebook will not show your live stream and you'll need to manually create a new live video post.